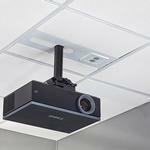 The SYS474UW from Chief is a Suspended Ceiling Projector System with Storage that was designed with the professional A/V installer in mind. 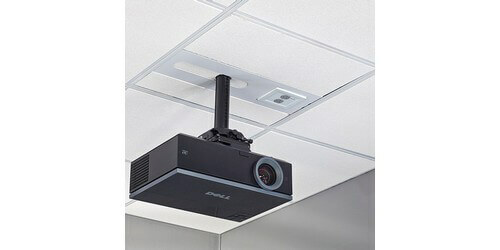 This mounting kit is compatible with 2' x 2', 2' x 4', 60 x 60cm, & 62.5 x 62.5cm ceiling grids. 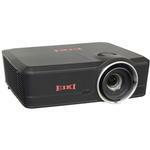 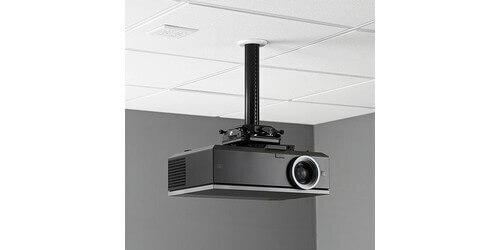 It will hold projectors up to 35 pounds, features Q-Lock Quick release lever providing quick connect/disconnect of the projector for servicing and enhanced security with an integrated key and lock system, keeping your system safe from being tampered with. 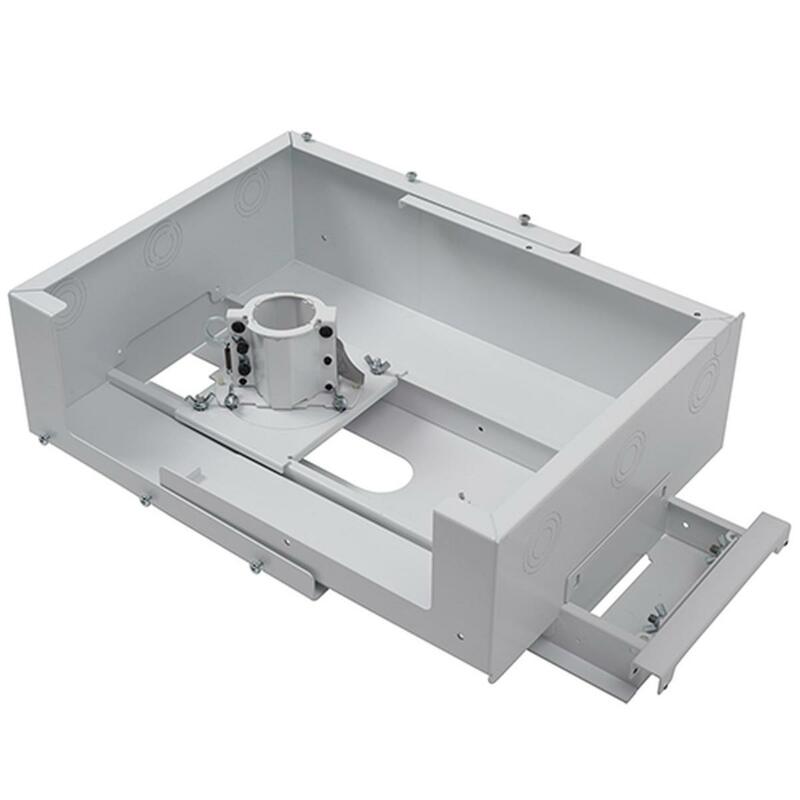 The SYS474UW has a 0-12" column with dual inlay channels for both high and low voltage cables, and an improved universal interface for easier lock/unlock at projector connection surge and filter module. 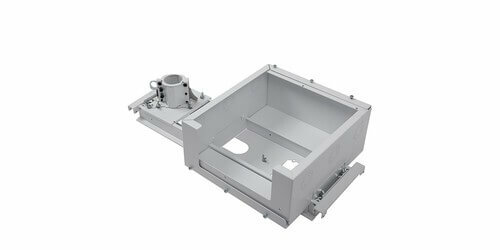 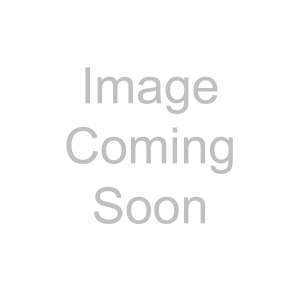 The Chief SYS474UW additionally features a scalable plenum rated storage box that sits above the ceiling tile. 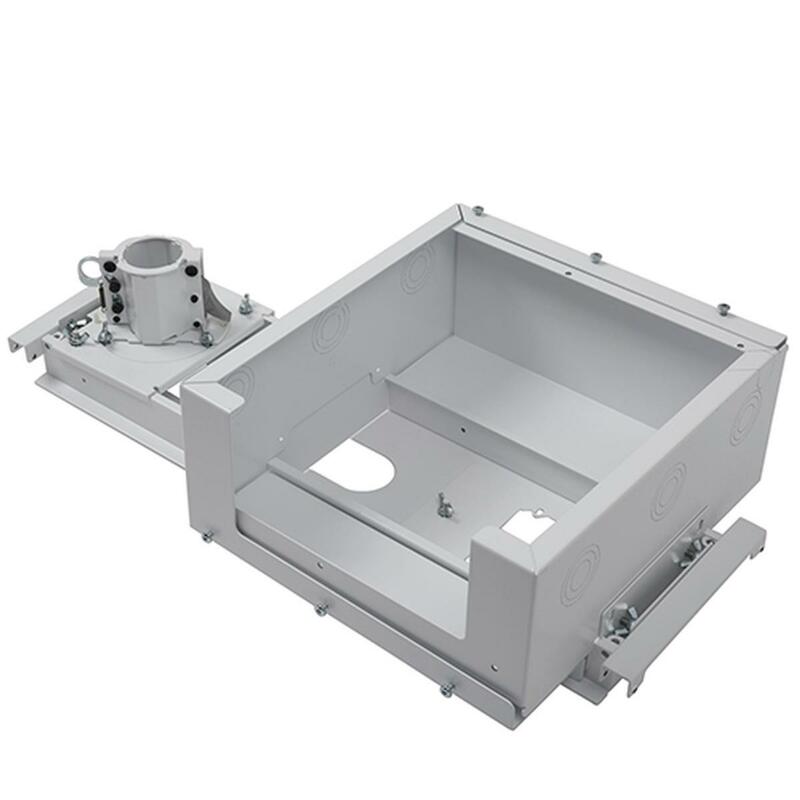 The enclosure can be shifted along the tile bridge to avoid plenum interference's, has removable covers that enable side access in shallow plenum spaces and full access from above, and has six trade size conduit knockouts in .5", 1" ,1.5", the flexible conduit knockouts allow high voltage conduit to pass through the plenum box when the power is facing in the room below. 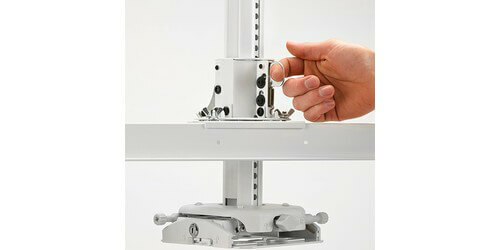 From an ordering to installation standpoint, this ceiling projector mount was designed for flexibility and speed. This suspended ceiling projector system is an installers dream, as it cuts installation time by one-third and includes everything needed to complete the majority of installations. 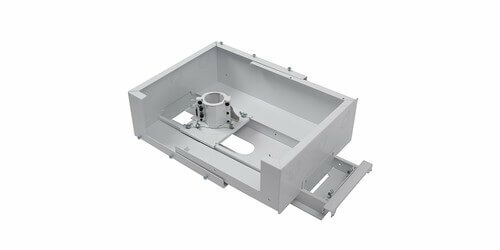 Chief even designed the system to come straight out of the box in the order needed, with the mount and column already being pre-assembled. 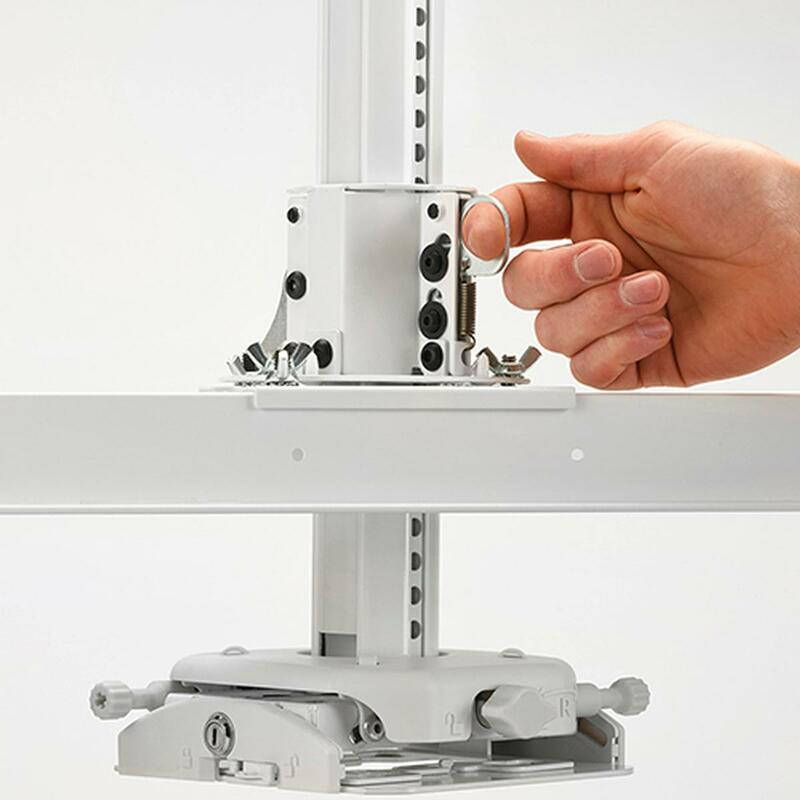 A Tool-Free microzone adjustment eliminates the need for set screws and the Centris technology allows for effortless fingertip positioning using the new tool-free lockdown. 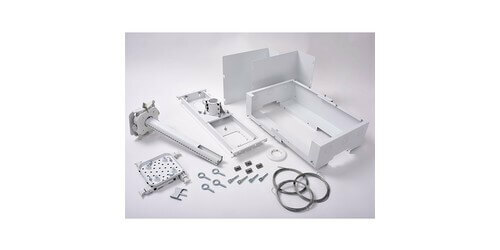 Additionally this system has a detachable electric plate for pre-wiring and is compatible with the popular 2 gange adjustable mud rings. 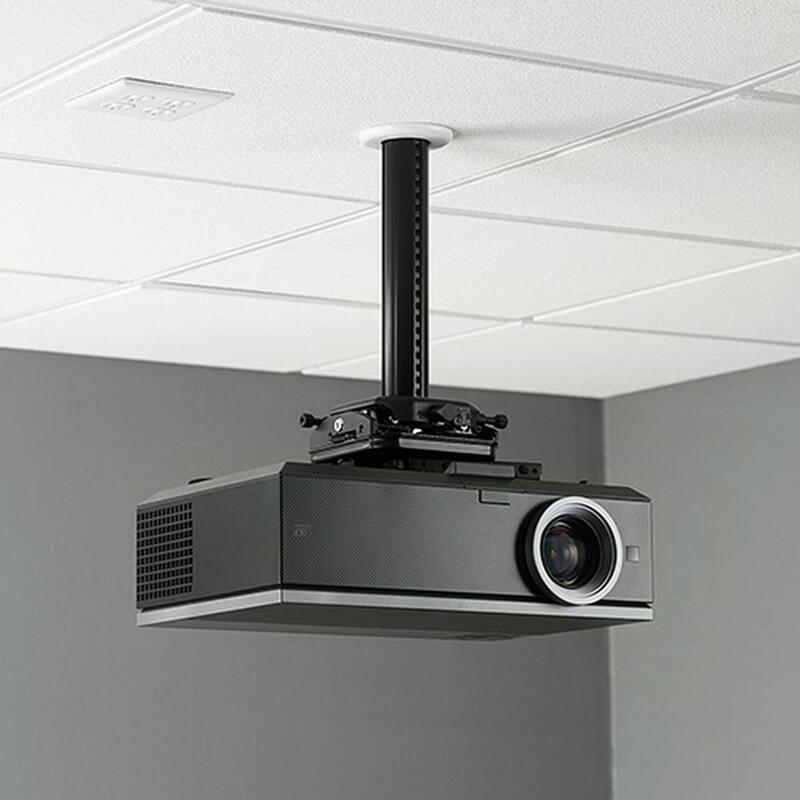 The Chief SYS474UW is a perfect ceiling mounted projector system for all you presentation, conference, and boardroom environments. 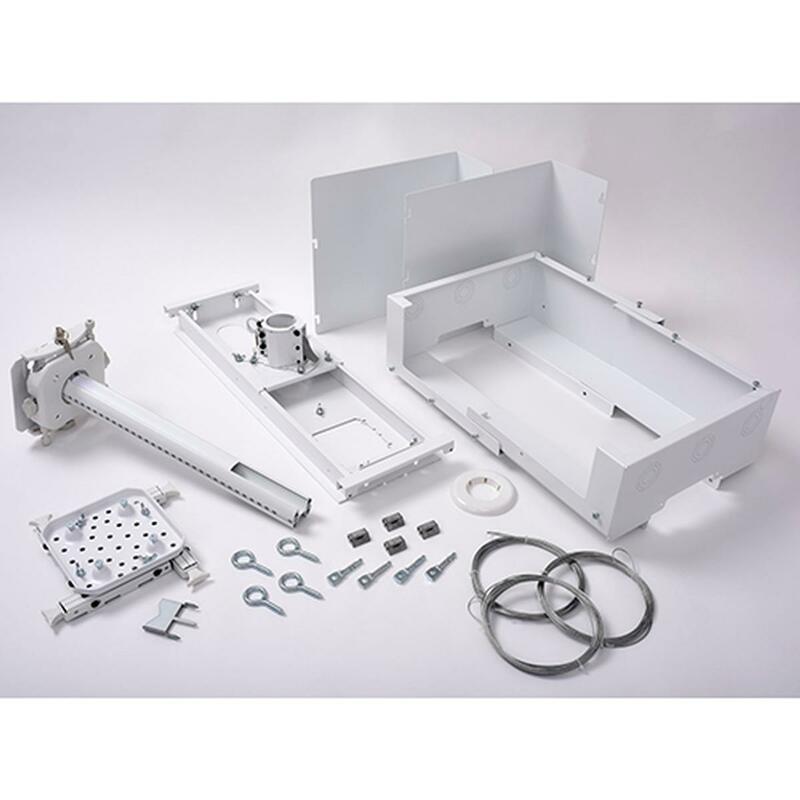 Dimensions: 19.82" x 7.25" x 24.94"